With International Rhino Day celebrated on Thursday 22nd September, Linton Park Estate near Wellington handed a cheque of R50,000 to Dan Fenton of the Ngala Lodge at the Kruger National Park during a special occasion on the estate. 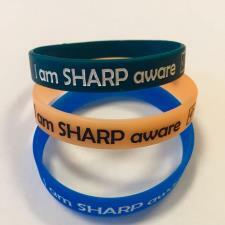 Dan is a well-known champion of the ‘Rhinos Without Borders’ campaign. Linton Park, with a founder’s history dating back to 1699, is part of the international Camellia plc business group with its head office in London. She added that this donation was made possible by sales of the estate’s ’Rhino’ wine range during the previous financial year. 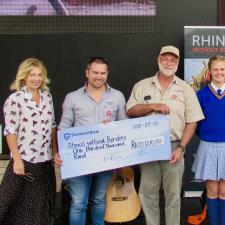 The R 50 000 has been accumulated by one rand per bottle going to the rhino preservation fund. “The public also supported us by buying Rhino wines and we wish to thank them all for making this donation possible”, she concluded.